Hip pain in sportsmen and women often often occurs in conjunction with, or is related to chronic groin pain. 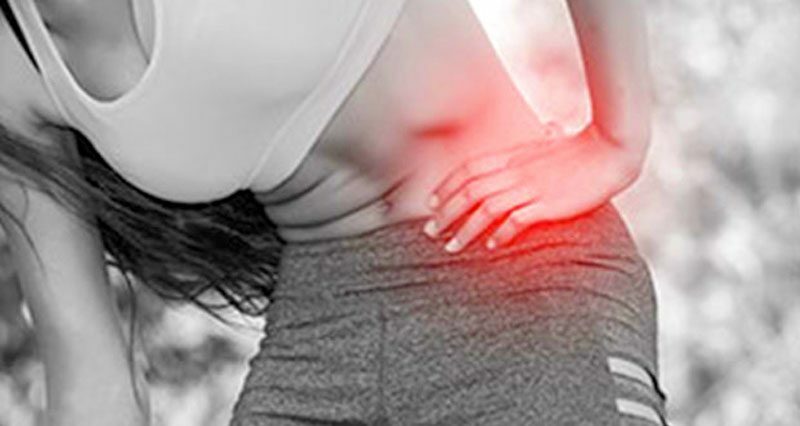 Hip pain often develops gradually and can be from a number of causes. Labral tears and Osteoarthritis are more common, especially in older athletes who have been highly active in their 20’s and 30’s. Hip pain in children is often diagnosed as Perthe’s disease and it is very important that hip pain in children should be examined by a Doctor. A labral tear of the hip joint is a tear to the cartilage lining of the hip joint, called the acetabulum which acts as cushioning for the joint. A tear can cause hip and groin pain and make the joint stiff. It can be caused by a direct impact/trauma or may develop gradually through degeneration. Symptoms of a labral tear include pain in the hip or groin. A clicking or locking of the joint can occur and stiffness and/or restricted mobility in the hip joint is likely. Symptoms may come on suddenly following an impact or trauma but can also develop gradually if the joint progressively degenerates. A common cause, particularly in athletes who have done repetitive movements which abduct the hip (move out sideways) such as hurdling, breaststroke swimming, or horse riding is ‘cam impingement’ where abnormal bone growth at the neck of the femur pinches or impinges on the joint lining. Read more on labral tears. Synovitis often occurs in sports people alongside another hip joint injury. Treating the original cause or co-existing condition is key to recovering from hip synovitis. Symptoms include difficulty walking and night pain, which sometimes radiates further down the leg. This condition can also affect young children, which may be linked to the presence of a virus. Labral tears, arthritis, ligament sprains or chondropathy (affecting the ends of the bones) can all cause or exist with synovitis. It is also seen in children between the age of two and nine years old. A patient with hip synovitis will experience symptoms which include difficulty walking, with pain when moving the hip joint as well as at rest. Night pain is also a common sign of hip synovitis. Sometimes a fever may be present and pain can radiate into the knee joint. How does synovitis affect children? Transient synovitis (sometimes called toxic synovitis) of the hip often affects young children, between the ages of two and nine. It is not really understood why this occurs, although it is thought to be linked to a virus. It causes pain and inflammation around the hip joint. Symptoms often come on quickly and last for up to a week. Treatment should be aimed at addressing the original cause or co-existing condition. NSAID or anti-inflammatory medication may be prescribed along with physiotherapy to restore normal movement and function. Any hip pain in children should be examined by a Doctor. Synovitis must be distinguished from a bacterial infection which is far more serious. This can be done using blood tests. X-rays may also be taken to rule out Perthes’ disease. Anti-inflammatory medication may be prescribed (such as ibuprofen). Generally, the condition is left to run its course, although the child should be closely observed and temperature checks should be made. Osteoarthritis is ‘wear and tear’ or degeneration of the hip joint. The ends of bones are covered by tough, smooth cartilage which protects the joint, reducing friction between the bones as they move. As the cartilage degenerates, mobility reduces pain and stiffness increases. It is common in older people over the age of 50, especially women. Although there is no cure, osteoarthritis can be managed with various treatment options including mobility exercises and anti-inflammatory medication. Eventually, hip replacement surgery may be considered. 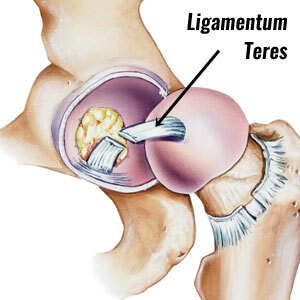 The ligamentum teres is a ligament that joins the acetabulum (pelvis) to the head of the femur (thigh bone). Its function is to provide stability to the hip joint as well as supplying blood to the head of the femur. A tear of this ligament can occur, usually from a traumatic even or twisting but is not easily diagnosed. Symptoms are similar to a number of other hip injuries with deep aching pain in the joint, reduced range of motion, pain at night and groin pain. There are no specific tests or imaging methods to help diagnose a Ligamentum teres tear. They are usually picked up during arthroscopic surgery. A complete rupture of the ligament can be serious as this stops the blood supply to the head of the femur causing necrosis. The rectus femoris is one of the powerful quadriceps muscles at the front of the thigh. A strain or tear in the tendon can occur at its origin at the front of the hip. An avulsion strain (or fracture) is when the tendon tears at its attachment, pulling a small fragment of bone with it. Read more on Rectus femoris tendon injury. A hip pointer occurs following an impact to the iliac crest at the top of the hip bone, or the greater trochanter (bony protrusion on the outside of the thigh bone). It is usually caused by a forceful impact, which is common in contact sports like American football. There will often be bruising and pain at the point of impact which can be eased by ice and compression. Symptoms of a hip pointer are pain and tenderness when pressing in on the point of injury. There is usually some obvious bruising or swelling. The athlete will experience a reduced range of motion at the hip joint and possibly reduced strength in the muscles around the hip. A full assessment should be undertaken to rule out the possibility of damage to intra-abdominal organs. A hip pointer injury occurs following an impact to the iliac crest (hip bone) or greater trochanter (bony protrusion at the top of the femur). This is common in sports such as American football. The force of the impact causes a contusion (bruise) of the iliac crest and sometimes an avulsion fracture, where a small part of the bone is pulled away by the attached muscle. This area is particularly at risk if it receives a direct blow as there is limited padding and protection from fat stores. Bleeding usually occurs around the front and side of the hip, into the abdominals and hip abductors (gluteus medius and minimus). This bleeding causes swelling and makes the movement of the hip painful. Following this type of injury, a full assessment should be undertaken to rule out damage to any intra-abdominal organs. There are some things the patient can do themselves to help treat hip pointers. What can the athlete do? Begin treatment by resting, applying ice and compression to the injury. Ice or cold therapy can be applied for 10 minutes every hour initially reducing the frequency as required. This will help to reduce or limit any pain, inflammation, and swelling. Visit a sports injury professional who can fully assess the injury to rule out any complications as stated above and advise on a full rehabilitation program with hip stretching and mobility exercises followed by hip strengthening exercises. What can a sports injury professional do? Assess the injury for severity and complications. A doctor may prescribe anti-inflammatory medication such as ibuprofen. Once pain is decreasing, the active range of motion exercises can begin. Sports massage may be used after the acute stage to help reduce swelling, loosen the muscle fibres and prevent the build-up of scar tissue. If there is a large bleed or hematoma, aspiration may be done which involves draining the fluid off with a needle. A pelvic stress fracture is a hairline type fracture in the large pelvis bone. This is due to repetitive impacts or forces, rather than one sudden impact or accident. They are more common in women and normally occur in the pubic rami, where the hamstring and groin muscles attach. Read more on the causes, symptoms, and treatment of this injury. Pelvic stress fracture symptoms include tenderness over the inferior pubic ramus at the bottom of the pelvis. Pain is felt in the groin or hip which increases with exercise but eases or gets better with rest. The athlete will experience reduced strength and movement in the pelvic area. Causes: Pelvic stress fractures occur most often in female runners and military recruits. They are more common in females due to reducing bone density after the age of 30. Stress fractures of the pelvis occur most frequently in the pubic rami. This is the lowest part of the pelvic girdle, where the hamstring and groin muscles attach. Fractures may also occur at the pubic symphysis – the front joint between the two pelvic bones. These fractures may be due to repetitive muscular forces, or through impact and stress transferred up from the foot. What can the patient do? Rest from activities which cause pain. Try to stay off the feet as much as possible for the first 2 weeks. Apply cold therapy or ice to the painful area to ease the pain, swelling and inflammation Seek medical attention. What can a sports injury specialist do? Refer for investigations such as X-rays, bone scans or MRI’s to confirm the diagnosis. Prescribe anti-inflammatory medication to help ease pain and inflammation. Assess the patient for potential causes of the stress fracture. These may be biomechanical, such as oversupination, or may be factors such as low bone density or amenorrhea. Advise on a gradual return to sports programme after 4-6 weeks, when the bone has fully healed. Ilium apophysitis is an overuse injury which occurs in children and adolescents at the front of the pelvis. An apophysis is an area of growth of a bone which also acts as a point for muscles to attach to. This injury can particularly affect those who participate in sport and those with tight hip muscles. The hip pain usually intensifies with activity. 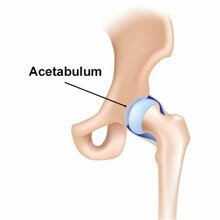 Symptoms: Apophysitis of the Ilium typically results in dull pain at the front of the hip. There will be tenderness at a specific point on the front of the hip. Pain usually gets worse with activity and there may be some mild swelling. Causes: A growth plate is an area of bone from which growth occurs. This is the last area of bone to fully harden from cartilage and so is still relatively soft in children and adolescents. Those involved in sporting activities in particular or those with very tight hip muscles may suffer from this injury. The repetitive pulling of the muscles on the growth plate can result in irritation and inflammation of the area. This most frequently occurs at either the AIIS (anterior inferior iliac spine) or the ASIS (anterior superior iliac spine) at the front of the pelvis. Treatment for Ilium apophysitis: Rest from aggravating activities until pain and tenderness ease. Apply ice or cold therapy products to ease pain and inflammation. A doctor may recommend anti-inflammatory medication. Once daily activities are pain-free, stretches for the hip muscles can be performed. Sports massage therapy may be able to help relax really tight muscles such as the hip flexors. Once pain has gone, a gradual return to sport can be initiated. Ensure a full warm-up is performed and stop if any pain is felt. The condition will ease on its own once growth is finished and the bone is fully matured. Hip bursitis, also known as Trochanteric bursitis is inflammation of a bursa or small sack of fluid between the tendon and bone. A bursa prevents friction and helps movement in the joint so when it becomes inflamed, it causes hip pain. Most cases of hip bursitis are caused by overuse and poor biomechanics, although a direct impact like a fall could also cause it. Read more on the causes, symptoms, and treatment of this condition. Read more on hip bursitis. This injury occurs when there is a fracture at the neck or top of the thigh bone. The injury happens to the epiphysis which is where the bone grows as children grow older. It is more common in boys aged 11 to 16 years old and occurs gradually over a period of time. Hip pain and groin pain are major symptoms which can cause the injured person to walk with a limp. Symptoms of a slipped capital femoral epiphysis include pain in the hip and groin which can radiate into the knee. The patient may walk with a limp. When examined they may find one leg is shorter than the other and rotated outwards slightly. Moving the leg out to the side known as abduction and rotating the hip outwards is often limited compared to the uninjured side. The epiphysis is the area of the bone that does the growing in children and adolescents. This area is sometimes called the growth plates. It is often brought on by sports activity. This is an uncommon condition which typically affects boys aged eleven to sixteen years old. It is more common in those who are considered overweight and may sometimes be present in both hips. A slipped capital femoral epiphysis can cause problems with a decrease in blood flow to the head of the Femur, resulting in avascular necrosis (bone death) and so should be addressed as soon as possible. Due to the potential for death of the femoral head, medical attention should be sought as early as possible. If this injury is suspected X-rays should be taken to confirm the diagnosis. If positive, orthopedic assessment is required and surgery may be performed. Surgery involves fixing the head of the femur with pins or a screw. After a period of immobilization, a full rehabilitation programme is required to return to full weight bearing and then to regain full strength and movement in the hip. Perthes’ disease affects children, most commonly boys aged between four and ten years old, but can also occasionally occur in younger children and teenagers. Tiredness and groin pain are two common symptoms, and they may have a noticeable limp. Medical help is needed to diagnose this condition as early as possible to try to prevent and limit any future problems. Read more on Perthes’ disease. Severe pain in or around the hip or groin area, especially during walking. A “giving way” feeling in the hip during walking or going up/downstairs. Altered sensation in the leg – such as a feeling of “pins and needles” (paresthesia) or a “loss of feeling” (anaesthesia). Unable to complete your normal daily activities after the initial 72 hours. Further medical assistance can be sought through either your local GP or a private clinician such as a physiotherapist, sports therapist, osteopath or chiropractor. In the first instance, if you have followed the P.R.I.C.E. principles (see below) and are still unable to walk after 72 hours or still have severe pain that is not subsiding after the first 72 hours you should visit your local A&E department for further assessment. Another warning sign is if your hip “gives way” whilst walking and once again, you should consult your doctor or visit A&E. Secondly, if you have applied for P.R.I.C.E. principles and still have weakness that lasts a long time (more than 2 weeks) or have ongoing discomfort in your knee, you are highly recommended to seek advice from a specialist expert – such as a physiotherapist, sports therapist, osteopath, or chiropractor – who can provide you with advice and an appropriate and effective recovery and rehabilitation program.